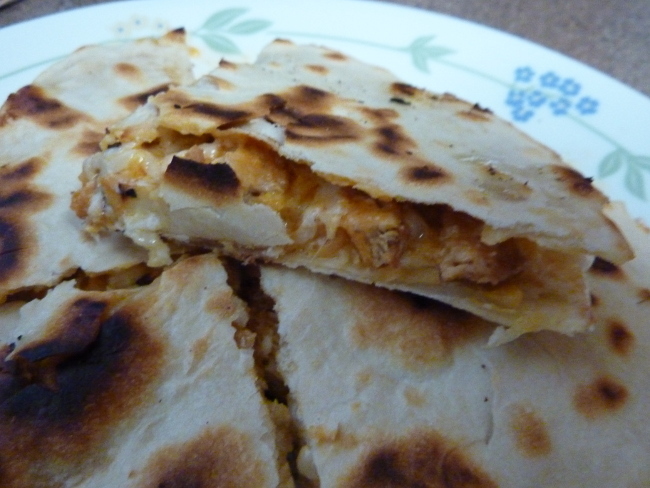 Buffalo Chicken Quesadilla – Food. Beer. Stuff. In 30 minutes you could be eating this. If you have never made a flour tortilla from scratch, you are missing out. Not only is it extremely easy to do, it really is one of those things that will always taste better than store bought. 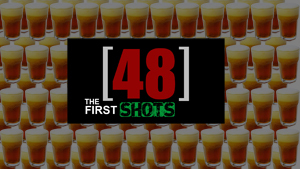 Ok, so lets get started. Put your flour and salt in a mixing bowl and mix it up so the salt is nicely dispersed within the flour. Add your oil and slowly start adding the water into the mix. You want to put just a little bit of water in at a time because you will more than likely not be using all of it. What you are going for is a specific consistency in the dough. You don’t want it too dry or you won’t be able to get the dough flat enough. At the same time you don’t want it to be wet and sticky or you won’t be able to peal them off of your rolling surface. I keep adding water and mixing until I get a slightly damp dough that is easy to work with. If your dough is sticky at all, add some more flour until it is just right. This is also a good time to add some extra flavor if you like. I have been known to add in some black pepper or red pepper flakes from time to time. Anyhow, you should end up with a nice bit of dough. Split it into four equal parts then roll each one into a ball with your hands. Work the dough with the roller until you get a big flat circle. 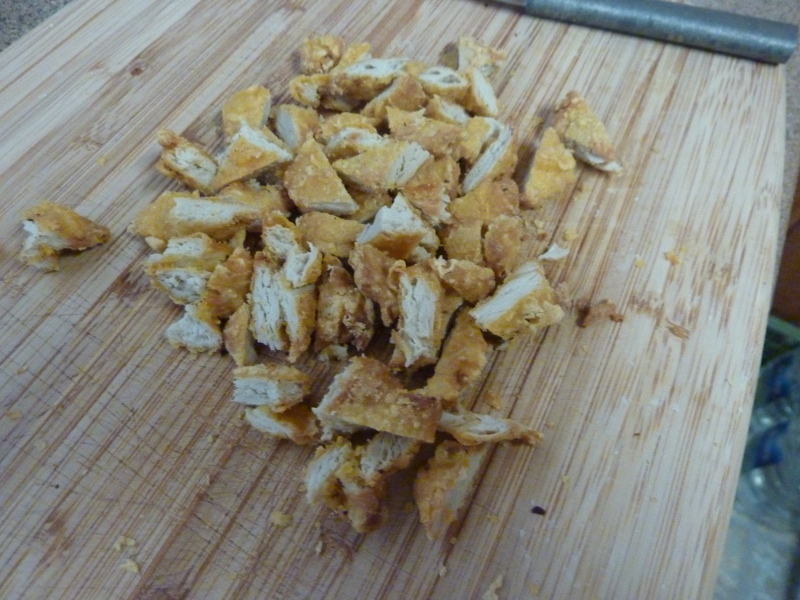 You want this to be as thin as you can get it because it will fluff up a bit when cooked. 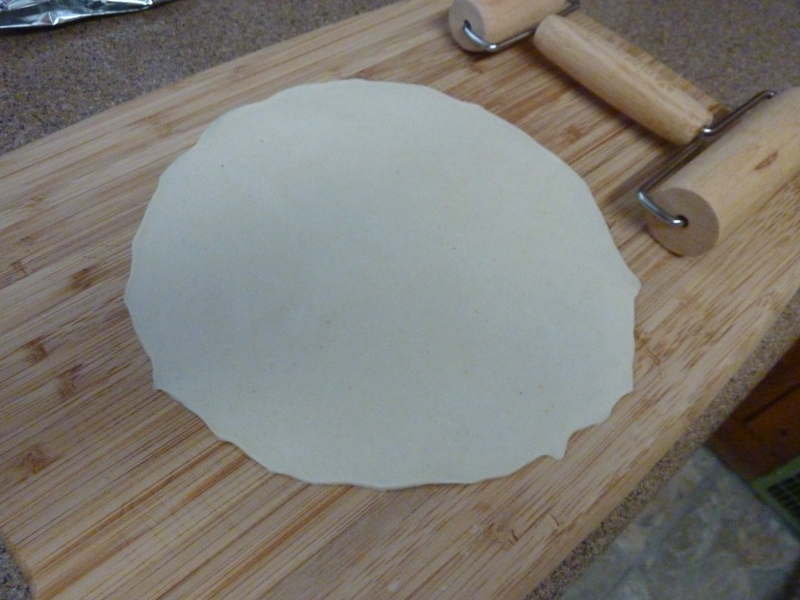 Keep rolling in alternating directions in order to keep the tortilla as circular as you can get it. You will end up with something like this. Now that is flat. This is why it is so important that you get the consistency of the dough right. If it is too dry you will never get it this flat, if it is too wet you will never get it off your rolling surface in one piece. Until you get use to it, I would try to stay on the dry side. 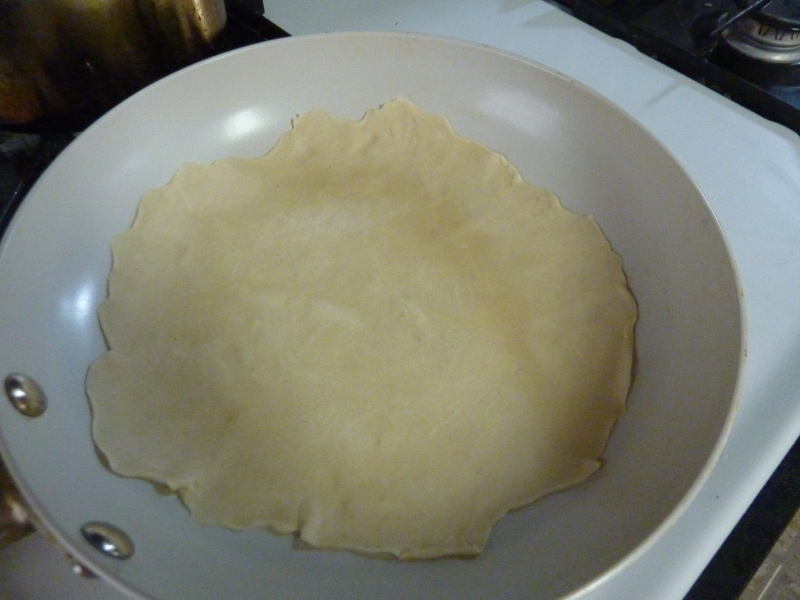 Better your tortilla is a bit thick than in many thin pieces. From here take out a large enough pan to fit your tortilla and get it hot. I turn my gas range up to 6 and let the pan heat up will I am rolling out the tortillas. Once your pan is heated up. Take a tortilla and drop it in taking care to keep the tortilla flat in the process. Don’t go anywhere, this is going to be pretty quick. 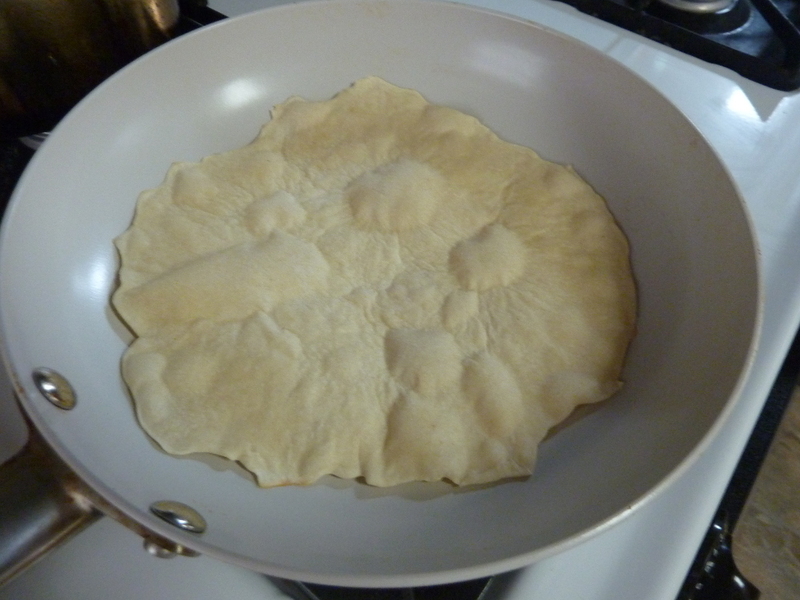 When the tortilla starts to bubble like in the below example give it a flip. Cook the other side for the same amount of time then repeat for your remaining uncooked tortillas. 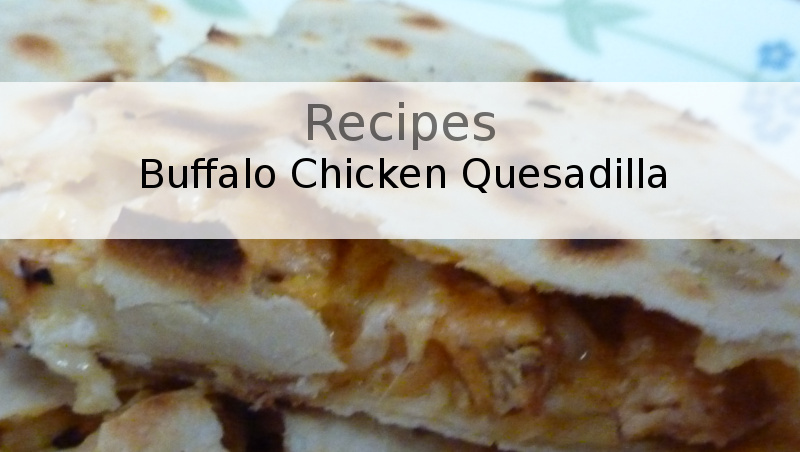 With your tortillas all cooked it is time to start making the quesadilla. Turn the heat down at bit. I back off from 6 to 3 and give it time to cool off. Take the first tortilla you cooked and put it in the pan. 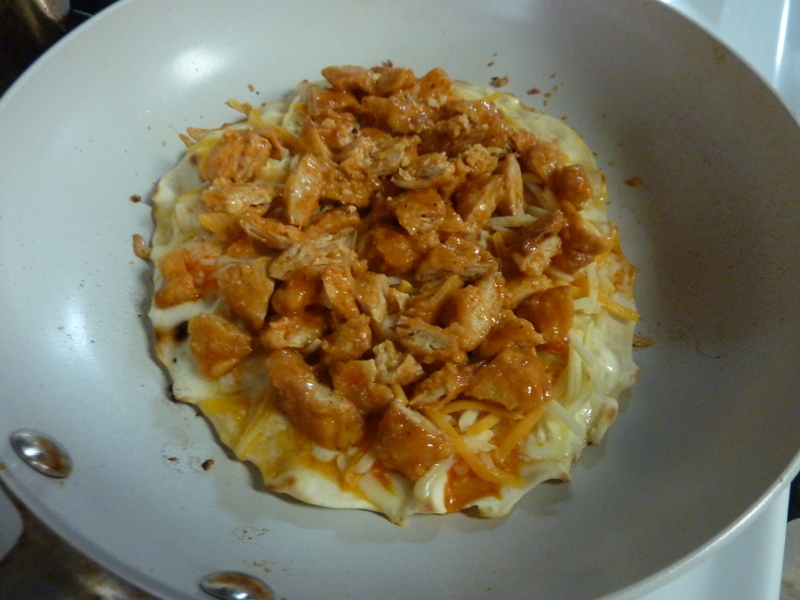 With your tortilla in pan add a small layer of cheese, a spoonful of blue cheese and a bit of wing sauce. 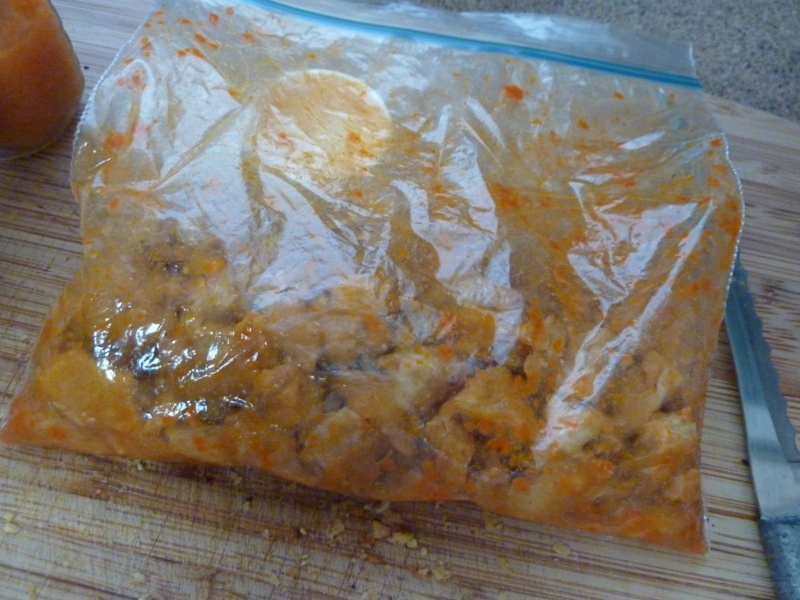 While your cheese melts get your cooked and chopped chicken and put it in a sealed plastic sandwich bag. Pour in some wing sauce to taste and mix it up in the bag. 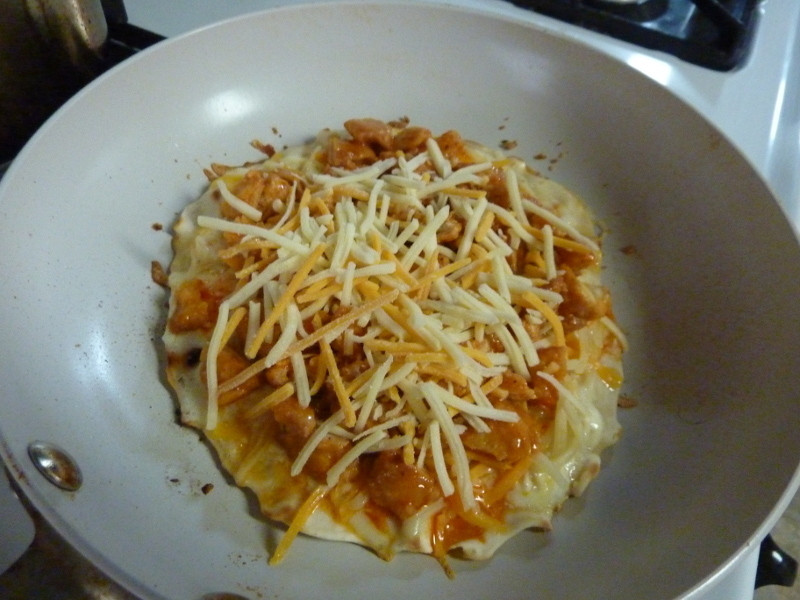 Add some more cheese on top. 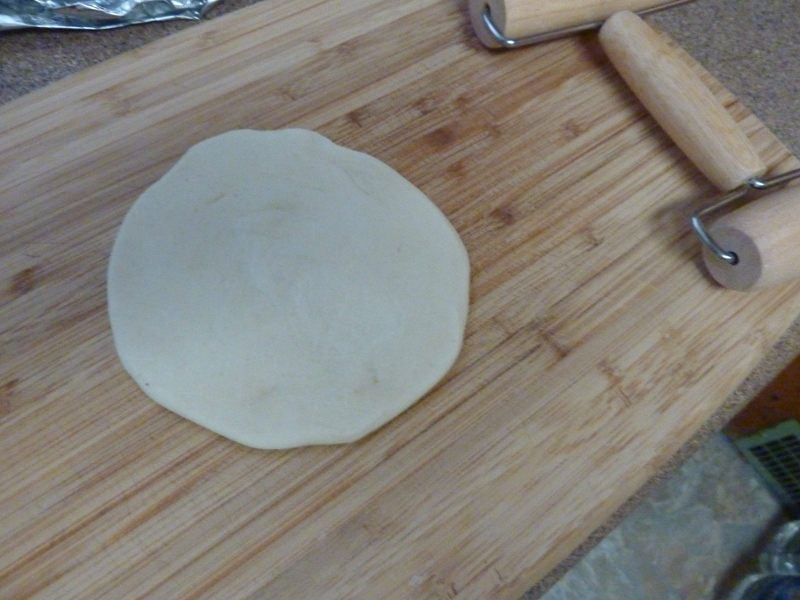 Plop another tortilla on top then carefully and quickly flip to allow the cheese you just added to melt. 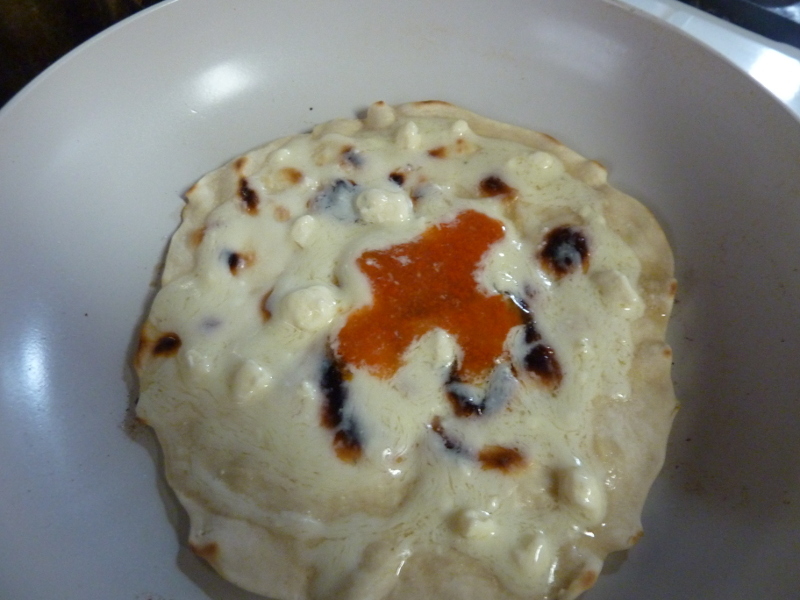 Once the cheese melts slice it up like a pizza and serve. Let me know how it went for you in the comments. I love hearing about others experiences. Cheddar might not be traditional but it goes well with the wing sauce and blue cheese. 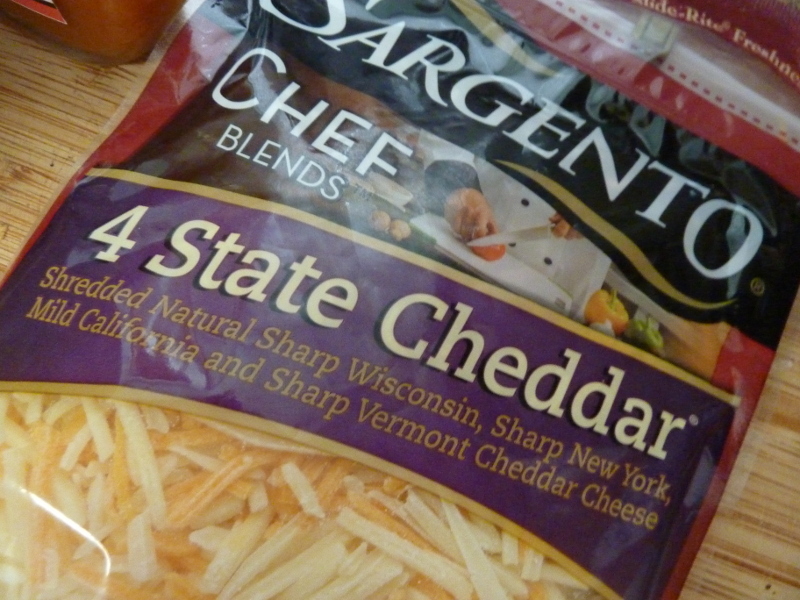 I like the Sargento 4 state cheddar mix. 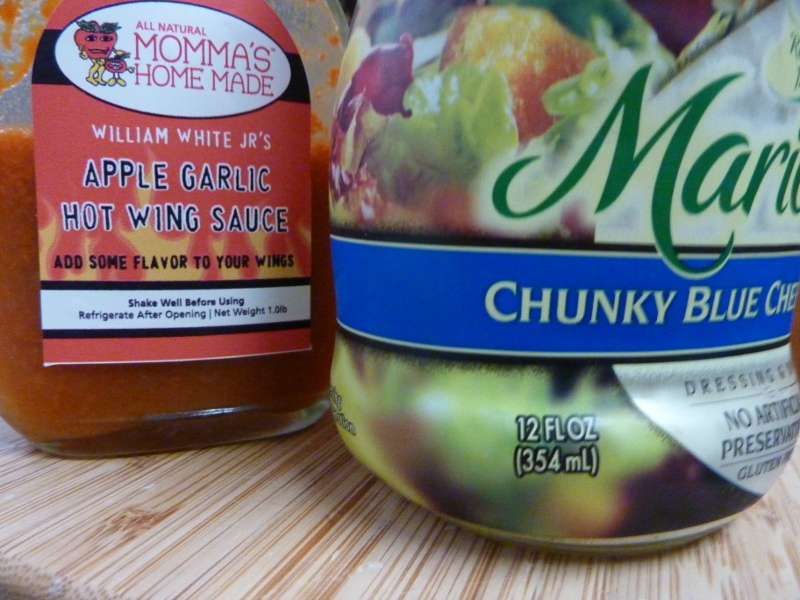 I usually go for franks red hot wing sauce but I was recently gifted this amazingly good Apple Garlic wing sauce which made a great addition. I like the Marie’s Chunky Blue Cheese. Your gonna want those chunks.